“Human Resources” comic strip by Matt Rasmussen, The Space Toast Page. This week’s guest blogger is using a pseudonym, which will become evident when you read her story. The Museum Director repeatedly pressured me to visit a donor’s home, with the full knowledge that every time I went the donor would paw at me while saying how much he “liked pretty girls.” The Director’s behavior was the tip of an iceberg that frequently cleaved racist and sexist comments, grant fraud, and the use of work time to carry on extramarital affairs. The Director even admitted to hiring me over a more qualified candidate because the candidate was gay. I tried to go to the Board of Directors, but they always cut me off, telling me what a blessing the Director was to the museum. With no human resources department to turn to, I left. In the following months, I spoke with friends and family who work in museums and found that my experience was not the least bit unique. It opened my eyes to the human resources problem faced by many small museums. Simply put, small museums often do not have HR departments because they cannot afford one. The Executive Director oversees all the responsibilities typically handled by trained HR professionals in larger institutions, leaving little recourse for staff should a workplace conflict arise between them and the Director. Museum Board members can play a role in creating a healthy workplace, but often lack professional human resources training. While I do not have all the answers for fixing this problem, I do have some suggestions. First and foremost, museum professionals without access to HR departments should make sure that their institution has a written personnel policy and that it is updated regularly. Insist that the policy contains clearly-defined procedures for addressing workplace conflicts, and includes a point of contact separate from the Executive Director. Board members who lack HR experience do not have to go through this process alone, which leads me to my second suggestion. Numerous human resources firms exist across the United States that provide training, consultation, and HR services to small organizations that have no human resources department. Offerings vary from firm to firm, but often include customized Board training and workshops, help crafting personnel policies and handbooks, ongoing HR guidance for handling workplace conflicts, and the option to offer employee benefits through group plans (but the lack of benefits in small museums is a blog post by itself). Outsourcing human resources comes with myriad benefits for small museums. Many firms provide flexibility in their offerings so that organizations can get the support they need within their budget. Partnering with an HR firm sends a message to staff that the organization cares about providing a safe and equitable work environment, which can help attract and retain higher caliber employees. Additionally, firms provide services that help directors streamline human resources tasks, leaving them more time for the museum’s mission. Ultimately, outsourcing human resources costs much less than employing a full time HR professional, and costs significantly less than a lawsuit arising from issues such as a hostile work environment or a labor dispute. Finally, steps must be taken to improve the culture of the museum industry. With a surplus of emerging museum professional saturating the field, there are not enough jobs to satisfy demand. This results in employers and employees alike conflating getting a job in the industry with job satisfaction. Organizations need to understand that caring for their employees goes beyond the job offer, just as staff need to cease their willingness to sacrifice their financial, physical, and mental well-being just for the honor of working in a museum. A collaborative team of small museums and HR professionals can work together to create guidelines that address human resources needs and provide reporting structures for workplace conflicts. Organizations like the American Alliance of Museums (AAM) and the American Association for State and Local History (AASLH) can help by including and disseminating these guidelines through their excellence programs, such as the Museum Assessment Program (MAP), the Standards and Excellence Program (StEPs), and AAM Accreditation. 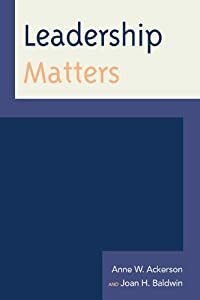 As an industry it is up to all of us to influence our own culture, and an important first step is deciding that people matter just as much as the objects in our care. This week we read two great posts, one in Alliance Labs titled “Leaving the Museum Field,” and one on Know Your Own Bone titled “Does Being a Nonprofit Impact Perceptions of Cultural Organizations?” If you missed them, read them. Soon. There is so much good writing out there, but these two pieces, which strangely echo one another, deserve your attention. Why? Because the museum field has a problem. And it needs to be addressed sooner rather than later. Both posts examine issues affecting the museum workplace. The Alliance Lab’s article, written by four mid-career professionals, looks at attrition in the field. It’s based on a survey, with over 1,000 responses, conducted by the authors. The top three reasons their respondents gave for leaving the field include low pay, “other,” which included racism, poor or no benefits, and the inability to get or keep a job, and poor work/life balance. According to their survey the tipping point for leaving seems to occur sometime in a museum worker’s first decade or 16-25 years into a career. Among the former, the issue driving folks away seems to be pay, among the latter, it’s work/life balance. Apparently an investment of more than 25 years in the museum field means you’re here to stay. Here’s how Disney does messaging: We are Walt Disney World. We create magical, once-in-a-lifetime experiences. Buy a ticket. Here’s how some museums do messaging: “We are a museum! We are a nonprofit organization. Buy a ticket. We would add that all too often the myriad workplace issues described in the Alliance Labs article are the result of museums and heritage organizations who believe being a non-profit gives them a pass on paying equitable wages, having a personnel policy or dealing with staff who are victims of sexual harassment or racism. In short, while museums may use their non-profit status as a mask, offering up mushy or mediocre mission statements, we would also argue that it allows too many boards to behave toward museum workplaces in ways that are not tolerated on the for-profit side of things. The field is over-credentialed. Surely you don’t need an advanced degree to become a museum intern or an assistant to an assistant? Does a bachelor’s degree teach you nothing? How hard can it be for the museum job sector to get off the graduate degree merry-go-round? Pay is too low and demands are high. We’ve probably written about this more than anyone else. We are adamant that museum boards and leadership need to invest in their staffs–in their salaries, benefits and professional development. Is it possible that by investing in the best staff it could, a museum might find capital expenses would come easier? And is it possible that there’s a high degree of workplace burnout because in too many workplaces staff aren’t led, they’re managed (and managed badly). Leadership is frequently mediocre. There’s been a lot of work on leadership lately across the field, but more is needed. While more and more new museum professionals seem to understand that leadership is an ingredient of a strong career whether you end up in the corner office or not, there are still too many boards whose understanding of the museums they lead is poor, resulting in weak decision making. And we’re not convinced that boards aren’t still trying to shift their fiduciary responsibilities to a museum’s top spot, making the ED the chief fundraiser not the leader. Conditions for women and minorities are not great. This is a bad one, and a thorn in the field’s side. It’s an impediment to diversity, and–when you combine racism, sexism, lack of paid family leave, poor benefits and long hours– a leading cause of people leaving the field. If the last decade was a time of big building, maybe the museum world’s next decade could be the time to invest in building leadership capacity at all levels. What will the field look like in 2027 if internships and lower level positions are populated by smart, interested humans fresh from college? What will it look like if many museums have endowed positions, shifting cash to other places on the spread sheet? What will it feel like to be the only part of the non-profit world where women’s wages–all women’s wages–are equitable? And what would it be like if all museum leaders weren’t afraid to demand staffs treat each other with tolerance. Nirvana, right? But it’s something to work for. We want to end this week’s post with hearty congratulations to our friends Bob Beatty and Steven Miller who both had books come out in September. They are: An American Association for State & Local History Guide to Making Public History (Bob) and The Anatomy of a Museum: An Insider’s Text (Steven). Bravo to two humans who’ve done a lot to prevent museum mediocrity! Are Low Museum Salaries Just a Money Problem? There is no question that museum salaries are the field’s third rail. Whenever they are mentioned here, we see a spike in readership and the number of comments. Museum directors tell us that if salaries go up, there’s no money for heating/cooling or the education department or exhibits or the institution’s digital presence. Or how about an organization’s crumbling infrastructure? After our July 10 post a reader wrote, that she felt the low salary issues were really a two-fold problem. On the one hand there’s salary equity within an institution. Her concern was directors whose salaries are out of proportion to the rest of the staff. Obviously if a director’s or CFO’s salaries are hugely inflated in comparison to other staff, that is a problem that needs the board’s attention, and the first issue might be getting them to understand this type of inequity is a problem. And speaking of salary inequities, don’t forget the gender salary gap, but more about that later. You know this. You live with it. It is part and parcel of museum leadership in 2017. And we get it. We really do. But here’s a thought, not a judgement: Are there decisions that museum service organizations, boards and museum leaders could make over the long term leading to better salaries? Let’s pause to note that Leadership Matters believes many small and medium sized museums don’t allow themselves to think long term. And by long term, we mean five to 10 years in the future. The reasons for that are likely complex, from poor trustee training, to dismissive attitudes toward museums and heritage organizations in general, to the risk-averse nature of many non-profit boards or an ingrained belief that a board’s role is to maintain status quo rather than to work for change. But the museum field’s salary problem demands long-term planning. While who gets paid what is, at the highest level, a board thing, we believe it’s time for AAM and AASLH to step up to the plate. While AAM, AAMD, and the regional museum organizations have religiously collected salary data for decades, it’s largely a passive commitment. If you or your organization buy the survey, you may use it to your heart’s content, but isn’t it time for our national museum associations to follow the American Library Association and stipulate a minimum salary for museum professionals? The cynics among you may ask what good would that do? In the short term, precious little. Over the long term, however, a minimum salary for directors might give organizations pause before they hire a maid-of-all-work at $28,000, while allowing job applicants the courage to say no thank you, your position doesn’t meet the national association’s base salary. Museums and heritage organizations have to be encouraged to endow positions. That isn’t something just for colleges or huge, wealthy organizations. What better way to acknowledge the importance of staff in keeping organizations alive and changing? Yes, it’s costly, but endowing positions frees up cash for other anxiety-provoking expenses. Museums need to become the non-profit world’s leaders in addressing the gender pay gap. The salary gap is not a myth, but a real thing–look at AAMD’s report on salary equity and AAM’s newest salary survey–and is something every organization needs to address. What would happen if the museum field were known as the job sector that made women’s salaries equitable first? That means making sure all women’s salaries are equal since statistics show women of color and queer women don’t make as much as white women, and only then adjusting women’s salaries to meet men’s. How would that affect hiring and more importantly, retention? Last, AAM, AASLH, AAMD, the regional service agencies, and the United States’ many museum boards have to support and encourage salary growth. From the accreditation process to the StEPs program, staff salaries and benefits have to matter in a visible, tangible way. Organizations should be open and transparent about staff turnover, about their ability to hire above their city’s Living Wage. Why? Because a well-paid, content, smart staff drive organizations forward. And that’s a cultural shift. This is a problem for all of us. Let’s work for change. Museum Leadership and Pay Equity: Is It Your Problem? This past week marked Equal Pay Day (April 4) when museum women, along with working women across the United States, finally made as much as their male colleagues did in 2016. Yes, you read that right: It takes an additional four months and three days for women to make as much money as men do in a year. But it’s actually worse than that. According to the American Association of University Women (AAUW), April 4 is when white women who are not actively parenting catch up. It is another seven weeks for working mothers. The dates for Black women, Native American women, and Latina women are July 31, September 25, and November 2 respectively. Women make up half the national workforce. In museums, art galleries and historical sites, according to the most recent Bureau of Labor Statistics reporting (2016), 41-percent of museum employees are women. Nationally, full-time female workers make 80 cents for every dollar earned by men. If you possess a newly-minted masters degree in museum studies, that fateful 20-percent difference may not seem like much when weighed against a first job offer, the chance to work in a field you love, not to mention the opportunity to grapple with your student debt. But it’s a big deal. According to the National Women’s Law Center, based on today’s figures, over the course of a woman’s career, she will lose approximately $418,000 in wages significantly affecting her retirement, and her Social Security will be almost $4,000 less annually than a man of the same age. Across the board—including museums, heritage organizations, zoos and botanical gardens—women are paid less. Whether your organization has a transparent salary scale or not–and few non-governmental museums do–this isn’t a myth. A quick glance at Association of Art Museum Directors’ salary information for 2015-2017 or AAM’s salary survey will provide the information you need. And by women we don’t mean only white women receiving 20-percent less than their white male colleagues. Black women’s median earnings are 63.3 cents of white men’s, while Hispanic women earn 54.4 percent. Transgender women–if they are hired at all–are at the bottom of the pay-day food chain. These problems are compounded in the museum world because salaries are traditionally low, and expectations are high. You are expected to hold a master’s degree; you are expected to have had some experience, and museums and heritage organizations are frequently located in the high-rent district, meaning if you want to live close to work, your living expenses may be higher than normal. Last, and by no means least, the museum world has been rife with complaints (and rightfully so) over the last five years about how white its workforce is. But rarely, if ever, is the field’s lack of diversity attributed to its poor salaries. With a wealth of career choices, why should college-educated woman of color join the museum field only to make less than their white female colleagues who are already making less than men? Even if you didn’t do the hiring, know what your staff makes. Graph your salaries by gender and race. Discuss the results with your HR director and the personnel committee of your board. If need be, see if you can get a commitment to level the playing field. Depending on the size of your organization, consider being more transparent about wages. If your board’s personnel committee and HR can’t stomach an open salary scale, how about salary bands? Post wages, or at a minimum, a salary band when jobs open. Work to eliminate bias from the hiring process. That includes not only assumptions about race and gender, but also the big elephant in every interview that a woman of child-bearing age will not be as productive as a man of the same age. Work to provide paid family leave. If you are able to make and live by some of the changes above, be open about it. Let the world know. Most women know they make less than men. Working for an organization that acknowledges that fact and is making change is a good thing. Great museums, regardless of size or budget, are staffed by smart, imaginative folks who make smart, imaginative decisions not just for the public but for their staffs. Those are the folks you want working for you. Be a leader in pay equity. Be the place they want to work. Recently we’ve had a few conversations suggesting some of you believe that now the museum field is on the verge of pink collar profession-dom, its issues with gender are solved. In other words, all you need is a bunch of women–(the Bureau of Labor Statistics reports the field now hovers somewhere around 46.7-percent female although the recent Mellon study of art museums pegged women at 60-percent of their employees)–and voila your problems are over and museums can focus on the real 21st century issue: diversity. We disagree. Not that we disagree that diversity is a major issue for museums, we don’t. And it is. As we’ve written here in the past, in a perfect world, the museum workforce would reflect the communities it serves. Children, families and individuals would engage and learn from staffs that are as diverse as they are. But acknowledging the lily-whiteness and the frequent privilege of our field does not mean its issues with gender have disappeared. Were the field to try to consciously solve its gender problems, it certainly wouldn’t hinder the battle for a more diverse workforce. The term pink collar joined common speech during the second world war, but rose to prominence in 1977 when writer Louise Kapp Howe published Pink Collar Workers: Inside the World of Women’s Work. The book was nominated for a National Book Award and the term joined its cousins, blue and white collar, referring to workers who perform manual labor and professionals or administrators respectively. Other traditionally pink collar fields include teaching, nursing and counseling. For an entire list, see Pink Collar Jobs. But take it from us, being a pink collar profession isn’t a good thing. And a field dominated by women does not mean it ceases to have issues with equal pay, with maternity/paternity leave, with childcare, with sexual harassment. Think those things don’t happen in the museum world? Do its trappings of Waspy privilege protect it from unpleasant and unwanted groping or inappropriate language? No, not really. It may be a third space, but the museum world isn’t immune to the problems of the world at large. Nor does the world of museum workers equal what happens in urban museums on the two coasts. There are worlds in between, some sophisticated, some not. But this April 12 women museum workers coast to coast, regardless of color or the gender binary, will join together knowing they’ve finally earned as much as their male colleagues did in 2015. If you’d like to know more about the pay gap, click here: 2016 Pay Gap. This week AAM issued its 2016 TrendsWatch report. 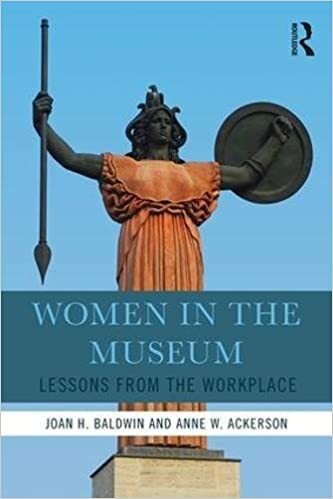 It nods to salary discrimination writing: “Museums can’t compete with the private sector on wages, but if they are willing to abandon outmoded practices, they can become the ultimate cool, creative place to work, so much so that the best and brightest are willing to sacrifice income to work in the field.” (p.15) Really? And then later…”Given traditionally low museum salaries, it may be realistic for much of our sector to focus on employee happiness and wellbeing, as well as trying to budget financial incentives.”(p.44) But how do we make employees happy or feel ultimately cool when we pay them less than many other fields, while still demanding a graduate degree? We’ll close with one last thought: Diversity and gender are not mutually exclusive, and a workforce dominated by women does not mean women’s workplace problems are solved. In our opinion there’s still work to do. As some of you may know, Anne Ackerson and I traveled to Waco, Texas last week to deliver the Largent Lecture for the Baylor University Museum Studies Program. In addition, we sat in on two classes, one in historic preservation, as well as the Program’s capstone class for second-year students. Our topic? Gender and the Museum Workplace. First, I should note that our invitation came after we gave the keynote at the Texas Association of Museums (TAM) last year in Houston. The point here is not to toot our own horn, but Texas’s. People on the east coast (where we live) can sometimes be a little snarky about Texas, but what other state or regional museum association has taken the issue of gender, diversity, and the workplace and made it a focus? (Stay tuned because TAM has more programs ahead.) So if you identify as a woman, and you feel as if the issue of workplace harassment and the pay gap are Ground-Hog day stories whose narratives don’t change except to cause you daily pain, know that at least one state museum organization is putting this issue front and center. Since our audience was largely graduate students–many of whom are women– we had to walk the line between truth–this can sometimes be a difficult field that’s not particularly well-paid–and enthusiasm for careers we love and support. How do you tell a group of graduate students completing their master’s degrees, that it’s not always Nirvana out there? When you begin in a field, you focus on content. After all, it’s what drew you to that particular sector in the first place. You can’t wait to…. insert one: catalogue a collection, do research, design an exhibit, conceptualize an exhibit, teach students, children, and families in museum spaces; wear a costume, learn to plow a field with a team of oxen. Few graduate students will tell you they can’t wait to manage a staff, understand overtime rules, negotiate personnel changes or have key board members resign. And yet, as we all know, the further you go in any career, the further you move from what brought you there in the first place, and the more time is taken with human interaction and thinking about the big picture. We’re told–and why wouldn’t it be true?–that in the first years of Amazon, Jeff Bezos packed the books himself and drove them to the post office. The Baylor students had read some of Women in the Museum. In addition, they’d talked about some of the ethical and historical reasons for the museum field’s issues with sexual harassment, the gender pay gap, and its slow, inexorable turn toward becoming a pink collar profession. Our discussion focused on how, armed with that knowledge, they could be intentional about shaping their careers, be knowledgable about pay, and practice for interviews and pay negotiations. Trying to be hopeful, we opined that change will surely come, likely from their generation. There were a few pointed sighs in the room. Getting a copy of the AAM Salary Survey Cross-reference that data with other museum, nonprofit and allied career salary data from your community or state. The more data points you can consult, the stronger your case for your salary ask. Know what to expect salary-wise for your job choice before you’re called to interview. Know what it will cost you to live where you’d like to work. Use MIT’s Living Wage Calculator (updated 2017) or the Economic Policy Institute’s calculator (updated 2018). Use these figures as guard rails for subsequent compensation discussions. Don’t think because you’re 24 and still on your parent’s health insurance that having no health benefits is acceptable. It is not. Ask to meet the people you’ll be working with. Ask them how work gets done, how new ideas are nurtured, and where do they go if there are HR problems? Be alert to silence and eye rolling. No offer is perfect. Negotiate. If you won’t be able to live on what’s offered without a second job, be prepared to walk away. And tell them why. Use the AAM Salary Survey. Be able to talk knowledgeably about where your salaries fall versus the local and national figures. Know what other benefits are on the table and how they differ from your competition, either local museums or nonprofits. Provide time for your interviewee to meet the people s/he/they will work with. The power balance is especially acute for first-time hires: Make sure you and your staff know an illegal question from a legal one. Review your interview process for unconscious bias. You can also have your staff and board take Harvard’s implicit bias tests. Based on the 2017 Bureau of Labor Statistics figures the museum field is 50.1-percent female. And based on our 2018 survey of 700-plus humans, as well as nikhil trevidi and Aletheia Wittman’s 2018 survey of approximately 500 respondents, sexual harassment is alive and well in the museum field. As leaders, let’s do our best to make first-time job seekers’ journeys a smooth one and educate ourselves, our staffs, and our boards in the process. Thank you to our 875 Leadership Matters followers around the world and thousands more readers who looked at our pages a remarkable 55,300 times in 2018. And just in case you are new to Leadership Matters, here are our five most popular posts for 2018. What’s Missing from 7 Factors…. AASLH posting salary ranges and the National EMP Network for giving voice to the salary transparency effort. Colleen Dilenschneider for her clear, insightful look at the non-profit world. Susie Wilkening for her research about who visits museums and why. Appointments of Linda Harrison as President and CEO of the Newark Museum; Kaywin Feldman as the National Gallery of Art’s fifth director and Anthea Hartig as the first woman director of the Museum of American History, plus many others — the diverse list of directors and curators is growing and, for that, we are very inspired! 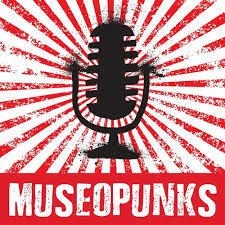 Hannah Hethmon’s great list of museum and library allied podcasts. Our Johns Hopkins University graduate students. The men and women attending the AASLH Leadership Forum this year and our colleague, Greg Stevens, with whom we developed and led the Forum’s agenda. February 5, 2019, Baylor University, Waco, Texas: Where we will deliver the Largent Lecture on the topic of women in the museum workplace. For the American Alliance of Museums [AAM] and the American Association of State & Local History [AASLH] to join forces to combat sexual harassment in the museum/heritage organization workplace. For museums, their boards and leadership to lead the non-profit world in closing the gender pay gap. For museum and heritage organization boards to commit to spending a minimum of two meetings a year on why they do what they do, what it means, and how to be better leaders. For museums, their boards and leadership to work toward eliminating tokenism, bias, and stereotyping throughout the hiring process. For AAM & AASLH to follow the lead of the American Library Association and pass a living wage resolution. Nobody wants to be called biased, particularly in the workplace. These days bias conjures more than just partiality or favoritism, and points directly at “prejudice in favor of or against one thing, person, or group compared with another.” It would be close to impossible to be a responsible museum leader and be biased. Prejudice and partiality aren’t in anybody’s top five leadership competencies. So if displaying bias isn’t a behavior anybody claims, why talk about it? Because we all own some. It is not reserved for our political or ideological enemies or people we don’t like. There are two types of bias: implicit and explicit. Explicit bias bubbles through our consciousness when we feel threatened. It helps us explain the universe by pigeon-holing and stereotyping people and their behavior. We can name it because it’s there, part of who we are, how we’re imprinted as children, and the values we hold. Implicit bias, on the other hand, affects our unconscious self in ways we’re not aware of, making it sometimes much more lethal then its noisier, brash cousin. A biased statement is out there for the world to hear or read. A decision driven by implicit bias is hidden and often unexplained. This week, Leadership Matters goes to Chadds Ford, Pennsylvania to deliver the keynote at the Federation of Pennsylvania Museums’ annual meeting. Our topic: Gender and Leadership. Before you eye-roll and think “Good Lord, haven’t we covered that?” just stop. Because there’s one place in every museum or heritage organization that is the nexus of gender, implicit bias, and leadership. What’s that, you ask? Your payroll. Unless and until you’ve completed an equity audit, and then adjusted wages for places where there are inequities, that’s the place where–to mix metaphors entirely–your chickens come home to roost. That’s the place where all the bad decision making, suspicion, anger, and dislike lives. It’s also where admiration, pity, gratitude, and hope reside, brought to you by implicit bias. Imagine you do an equity audit at your museum: you may discover that two under-forty, full-time employees, one male and one female, have wildly divergent wages. For the sake of argument, let’s say she is a curator and a woman of color, and he is an education curator and a white man. In your organizational chart both are on the same level, both hired within months of each other, both with comparable experience. Both report to you and are part of the leadership team. And let’s say you weren’t director when they were hired in 2011. Someone else did that. In addition, both have used your newly-revised personnel policy to take maternity/paternity leaves recently. What might you find? First, the man’s salary is $62,500; the woman’s $45,500. That’s better than the average African American woman who makes 61-percent of a white man’s salary, but it’s nothing to be proud of. Second, when you look at their salary history, he received a small bump within a year of his paternity leave. She took maternity leave at almost the same time–yes, that was a rough year– and when she returned, following annual personnel reviews, no bump. This too fits with a Harvard study where women pay a financial penalty for being parents, but men do not. In fact, men with children are considered more hirable than men without children. Women with children, on the other hand, are less likely to get hired, and less likely to be promoted. The same Harvard study shows women with children were considered less committed to their jobs then women without children. Granted, this is an imaginary scenario, but it’s there to help you understand how unconscious bias takes root. One prejudicial decision regarding race, gender, parenthood, weight, LGBTQ, or disability lives forever in payroll, and unless there’s an equity adjustment, it will still be there decades later when the employee retires. Your job as a leader is to work with your board to examine and correct these problems. Otherwise what’s the point of your mission statement and all the other spin that comes off mission? What’s the point of “serving diverse audiences” if your own workforce is discriminated against? Read and understand the pay gap and its history. Don’t tell yourself you’re not racist and then allow the gender/race gap to persist in your workplace. Educate staff and board about why the pay gap is a problem and what needs to change at your institution. Do an equity audit. Evaluate your payroll. Look for the gaps. Make a plan for adjustment. Act on it. Look at your parental leave policy. (If you don’t have one, make one.) FMLA or the Family Medical Leave Act is not pay. It’s a place holder. Make sure staff isn’t penalized for parenting. Pat yourself on the back and celebrate with your board if you discover your pay scale is equitable. It’s a rare individual who’s self-aware enough, who’s done enough soul searching, who realizes the ways in which she’s privileged, and the ways others are not, and who can shed enough load to come to workplace situations unbiased. But we can all try. Payroll is a place where we can change the museum workplace. Just do it. Two of my favorite myths at the beginning of Leadership Matters are: “We are the source of our own best ideas,” and “Anyone can lead a museum.” They come from a place that says museums are simple organizations doing simple stuff, and pretty much anybody can do what needs to be done. After all, there’s a gazillion books and YouTube videos. How hard can it be? I’ve never worked in a really big museum, but I know first-hand that among tiny to medium-sized heritage organizations and museums these two myths spawn a lot of problems, and the biggest may be they limit imagination. You may have seen this type of behavior cast generationally–the proverbial eye-roll from older staff members when a Millennial suggests trying something new. Or it’s attributed to a particular subgroup within the museum, frequently with the pronoun ‘they’ — as in “It’s a great idea, but they would never go for it.” They refers to a nameless group of powerful people who make decisions for everyone else. Despite the fact staff may have no real understanding about the board’s decision-making process, ascribing blame in these situations is useful. Then there is the financial version, which goes something like, “I love that, but we just don’t have the money right now.” And last, but certainly not least is the version that combines one or more of the others: “We tried that before the recession, and it wasn’t that successful.” If your therapist were in the room for all these comments, she’d tell you you’re writing the script before anything’s happened. And she’d be right. I’m not saying money isn’t important. It is. And it can buy a lot, and ease even more worries. But an organization can be really rich and also really boring. Surely you’ve been to some of those. They are beautifully presented, but stiff, still, and flat. There is, to quote Gertrude Stein, “No there there.” But there are other organizations where, without warning and often without huge budgets, you’re challenged, confronted by things you hadn’t thought about before or presented with memorable narratives. They are the places you remember. They are the ones that stick with you. Imagination and ideas are a museums’ biggest tools. Otherwise you’re just a brilliantly-organized storage space. And yet how do you get out of the scarcity mindset? Practice. Truly. And start small. Read widely. Listen and learn from a variety of sources. If you’re a scientist, read the book review. If you’re an art curator, read the Harvard Business Review. Model respect, and treat everyone’s ideas as doable even if they’re not actionable in the moment. Use the ideas that work now. Start small. What percentage of your guests are elderly? Will moving some benches afford a view and make walking from place-to-place easier? Try it. If it doesn’t work, move them back. Change is a muscle. Build strength slowly. Don’t over do it. Think about ideas as cash catalysts. Model respect and treat everyone’s ideas as doable even if they’re not actionable in the moment. Know what matters. Understand your organization. Devote some time as a group to talking about ideas as opposed to what’s just happened, what’s currently happening or what will happen. How can you raise money for an organization if you’re not excited about what it’s doing? If you’re a leader or a board member, you’re role isn’t to maintain the status quo. You want more than mediocrity, don’t you? You’re a change agent, and change doesn’t have to come in a multi-million-dollar addition. Sometimes it comes in a volunteer program that models great teaching, a friendly attitude and deep knowledge. P.S. Two items of note passed over our screens this week: Nikki Columbus, who was briefly hired by MOMA PS1, settled the claim she brought against the museum. Kudos to Ms. Columbus for following through on her claim which accused MOMA PS1 of gender, pregnancy and caregiver discrimination. It takes money, courage and will to take on a monolith, but in the end cases like this one set precedent for others. Second, the Guggenheim Museum joined Britain’s Tate and National Portrait Gallery in no longer accepting gifts from the Sackler family. The Sacklers, owners of Purdue Pharma, makers of Oxycontin, donated $9 million to the Guggenheim between 1995 and 2015. Aligning gifts with core values is a tricky topic so stay tuned. Sometimes people contact Leadership Matters with thoughts about blog posts. A few weeks ago a friend, a museum thought leader, suggested we speak with someone. Our friend felt this person was worth hearing. And she was right. The interviewee asked for anonymity, but here is what we can say: She uses the pronouns she/her. She worked full time in the museum business for more than a decade. Partnered and a parent, she left the field. She is articulate, thoughtful and self-aware. What gives her story such resonance is not its uniqueness so much as its sameness. And that’s the sad part. It’s 2019. The Equal Rights Amendment to the Constitution was introduced almost a half-century ago and remains unrealized, yet, as of 2018, women comprised nearly half the American workforce. As we’ve said before, women’s narratives in the museum workforce is a Ground-Hog day tale. Not only do experiences repeat themselves over generations, as our interviewee points out, too often harassment doesn’t arrive in the overt ways we’ve seen on television or watched in Congressional testimony. Too often it’s the death of a thousand small cuts. “When you sit underneath the best of the male directors,” she says, “He seems so woke and he’s not touching you under the table.” Her experience though leads her to ask whether too many museum leaders want diversity conceptually, but are ill-prepared to truly lead a diverse organization. “My experience, ” she said, “led me to fall out of love with my museum.” She describes her former boss as someone who hired women and promoted women, and whose outward-facing reputation was good. But behind the curtain this director displayed many of the subtle gendered characteristics that foster a climate of bias. Oh, lots of men–especially older men–do that you say. You’ve got to roll with the punches. But here’s what happens: Women are told they can’t show emotion; they’re told not to stand up for female staff when inappropriate remarks are made. In other words many of the characteristics that make our interviewee (and possibly you) a successful museum leader–compassion, passion, clarity of thought, cooperation–are the same characteristics that despite success and promotions are not actually valued, but instead are used to target women. Please don’t dismiss that last bit as the whining of a disgruntled applicant who didn’t get the job. That’s not the point. What’s important is her statement “This is not how I work,” because it’s how many women work. Studies show that women lean toward flat, task-focused, collaborative organizational structures. Men, on the other hand, lean toward the transactional and hierarchical, with a focus on performance and competition. Ignorance regarding these issues makes for a clumsy, biased hiring process. Museums and heritage organizations shell out tons of money to recruitment firms. And even if they don’t use a firm, the entire process of hiring takes time and therefore money. If you’re going to pay a firm, shouldn’t you receive transparent, equitable guidance? People who will help your board not ask women whether their husband will allow them to move? Yes, our interviewee did get that question. No, she didn’t go up in flames. But honestly. Has the needle moved at all? This brings us back to the initial question. If we don’t talk about these things because we hope for promotion, don’t want to be a trouble maker or anticipate a future job search, how can we change anything? As I’ve said too often on these pages, bias and harassment is often delivered in a thousand tiny ways that constantly reinforce who has power and who doesn’t. It’s not just the province of men. Women do it too. And for those of us who are white and cisgender, there’s a whole other layer of inherent bias we carry with us directed, often implicitly, toward colleagues of color. The museum field must stand up for women, all women, not just white ones. Can we legislate people’s feelings? No, but as a field we can say what we care about and what we believe in. How can AAM have a Code of Conduct that applies only to its annual conferences, but not to its membership? Understand what implicit bias or second-generation discrimination in the workplace looks like. It’s not only inappropriate touching or racially charged language. It’s the death of a thousand cuts, and the odds are, you have colleagues of color and/or female colleagues who are experiencing the effects of it. Support your friends and colleagues. If you hear hate or inappropriate speech, say something. Learn to recognize your own biases. If you find yourself admiring your male boss who roars, but not the female leader who roars, ask why. Emotion is emotion. Why is women’s tied to hormones and men’s to courage? Ask yourself what you can risk to support others. This is a small, tight field. Becoming a leader is a tricky business. If you’re the person known for saying the emperor has no clothes, will you ever get promoted? Are you counting on someone else to be that person? Find resources and participate through Gender Equity in Museum’s Movement (GEMM); Museum Hue, Incluseum; AAM, AASLH, AIC, and other national, regional, and state professional associations.